Infants who get a taste of eggs and peanuts starting when they’re as young as 4 months old may have a lower risk of developing allergies to those foods than babies who try them later, a research review suggests. 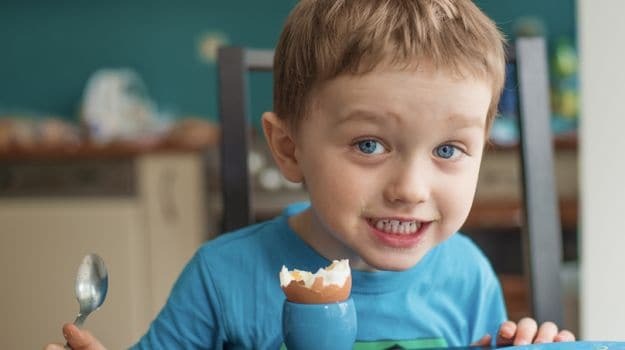 These findings suggest that for most babies, eggs and peanuts should be among their first foods, said senior study author Dr. Robert Boyle, a pediatric allergy researcher at Imperial College London. But that’s not what many doctors recommend, he said. “Infant feeding advice may need to change,” Boyle said by email. For peanuts, when about 2.5 percent of the population has allergies, early introduction could avoid 18 cases for every 1,000 people, a review of data 1,550 participants found. Still, for most children, parents probably don’t need to consult a doctor before introducing these foods, Greenhawt said by email. And of course, a 4-month-old can choke on whole peanuts, and should get this food in peanut butter form. The current study adds to a growing body of evidence suggesting that early introduction of eggs and peanuts can help at least some children develop a tolerance to these foods who would otherwise be allergic, said Dr. Sandra Hong, an allergist at Cleveland Clinic in Ohio who wasn’t involved in the study.